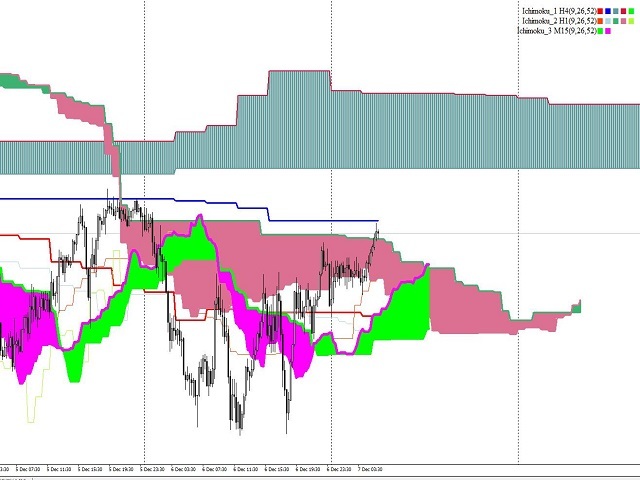 Display up to 4 different Ichimoku on the chart. 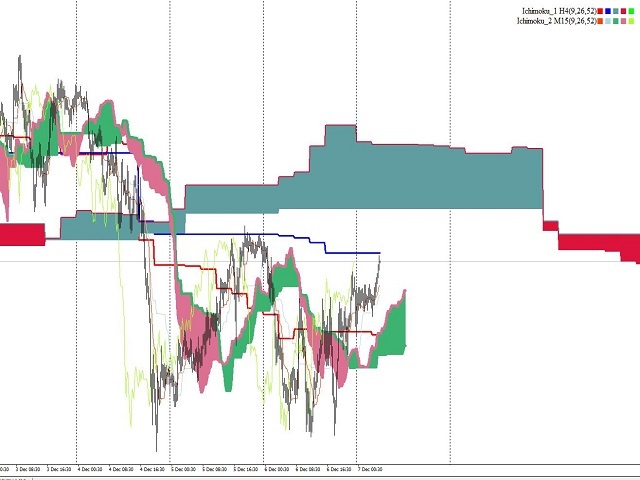 Every line of every ichimoku is customizable, you can turn off/on or choose different thickness or color. You can choose to see only the cloud in multiple ichimokus. Optional info panel to identify the different Ichimokus. 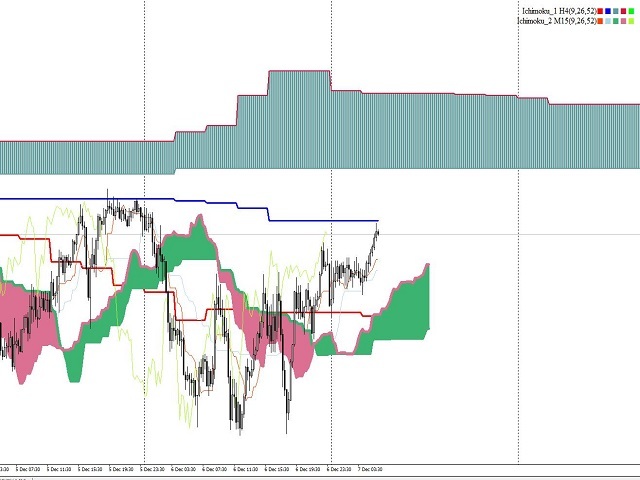 Works the same way like the original Ichimoku indicator.